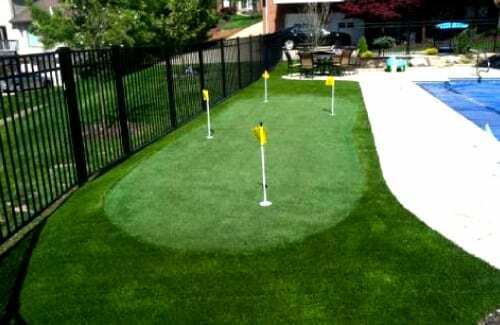 Southwest Greens artificial grass is the ideal, durable, resilient solution for any home environment. Lets be honest, from our jobs to our families it can be very difficult to find the time to maintain our landscapes let alone maintain the inside our homes. Replacing your high-cost lawn with artificial grass will not only decrease costs, it will also leave you with time to spare and less bills to pay. Whether you hire sometime to take care of your landscape or you do it yourself, there is time and cost associated with it. Think of those hot summer days where you’re working on your lawn when you could be relaxing by the pool and enjoying the view. Having a Southwest Greens landscape installed means more time for fun in the sun! 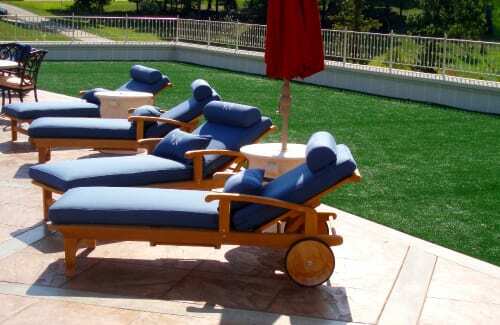 One of the best features of our synthetic landscapes is that they are custom designed to fit your space. We will incorporate your existing swimming pool into the landscape design to create the perfect arrangement for your needs.